■ In the V-ups, you basically need to keep balance on your glutes and sit bones while your torso and legs are off the floor. ■ Lie down flat on your back with your shoulder blades and toes close to the ground but not touching and with your abs tight. Make sure your legs are straight. Keep your arms stretched out but make sure they are used only for keeping your balance. ■ Now lift your upper body and bring your knees up at the same time. ■ Lay flat with your arms at your sides and your legs stretched out next to each other, then raise your legs. 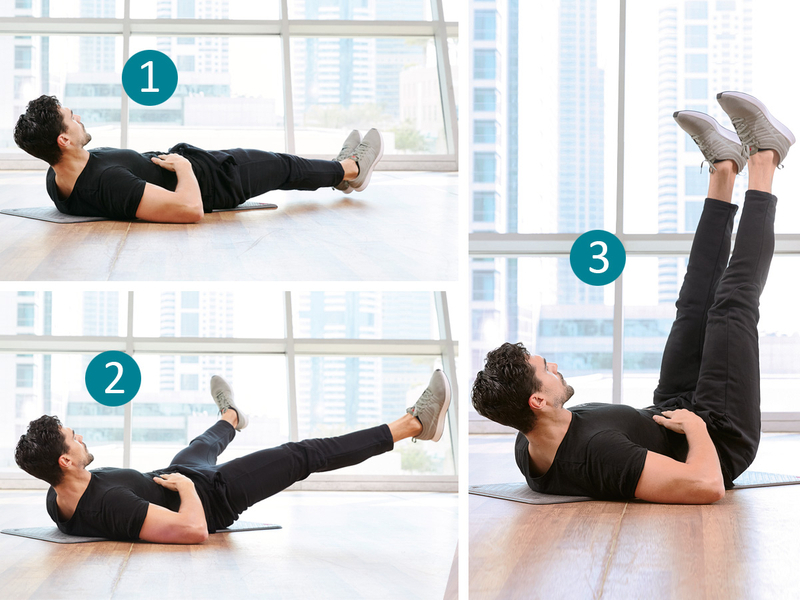 ■ Keep your legs straight and lift them all the way up to the ceiling until your lower back comes off the floor. ■ Slowly lower your legs back down until they’re just above the floor. Hold for a moment. ■ Make sure your toes are pointed. If this is too hard for you, you can bend the knees and progress slowly to straight legs. Raise your legs back up. Repeat. ■ Lie on one side with legs stacked keeping the legs off the ground. ■ Place one arm behind the head, keeping the other arm flat on floor just for balance. ■ Lift your legs and torso off the floor, crunching the elbow towards the top of your knees. Lower your back to the start position without allowing your feet or shoulder to touch floor. 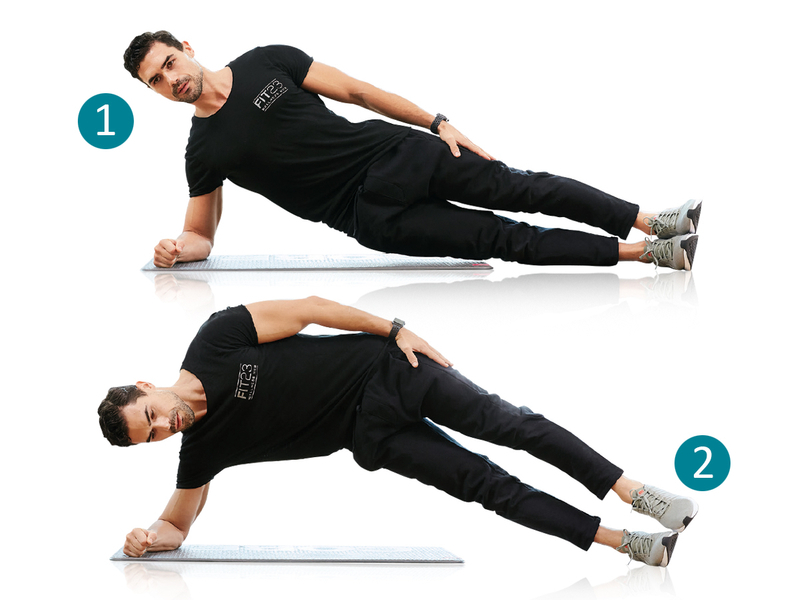 ■ Begin in a side forearm plank position with your core engaged. Lower your hip towards the ground, then raise to return to start. This completes one rep.
■ Get into a side plank position with your palm on the ground, keeping your arm straight. ■ From there, raise your knee and move your opposite arm so that your knee and elbow touch while you’re bracing. ■ Hold for three seconds and then repeat. If that’s too difficult, perform the exercise on your knees. ■ Start by lying with your lower back on the ground while maintaining your shoulder blades and toes off the ground. This will ensure your abs are contracted even in between reps.
■ Raise your legs while spreading them apart creating a virtual circle. Bring them back down with the same move.